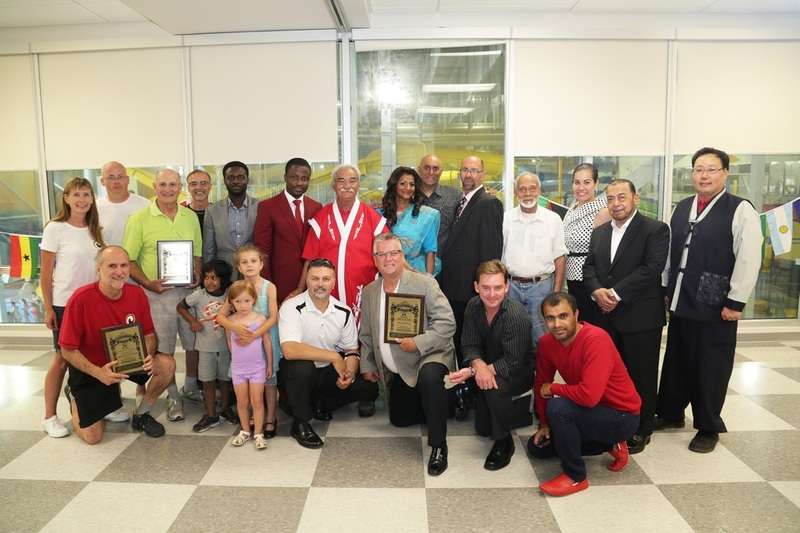 I have been inducted into the World Wide Winners Hall of Fame as Coach of the Year Team Canada 2014. I would like to personally thank all of my master instructors, instructors, assistant instructors, students and especially parents and families. Without your support, commitment, dedication and understanding, successes like this do not happen. 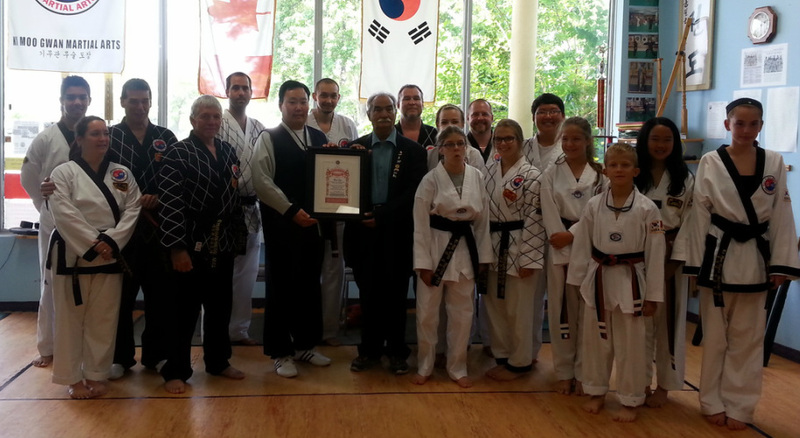 Senior Grand Master Thomas Oh promotion to 9th Dan Black Belt by Shihan Riaz Baig 10th Dan June 28, 2014. 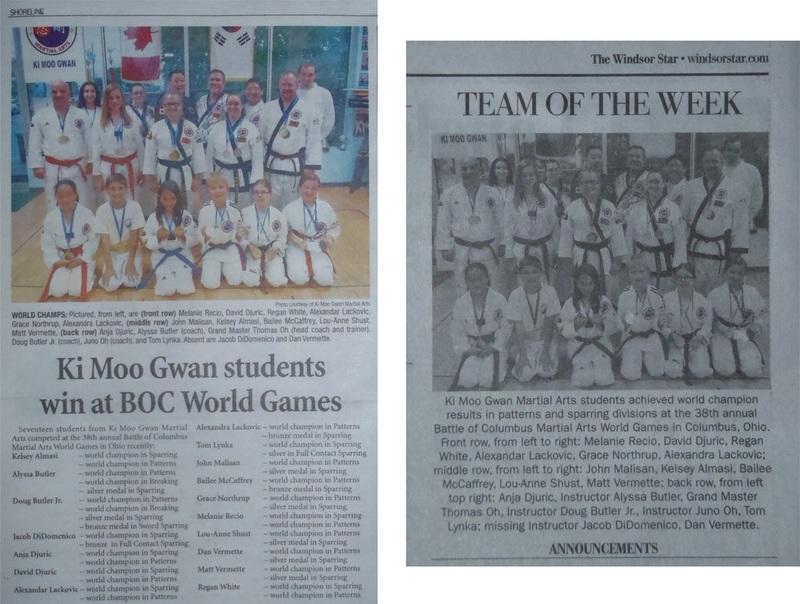 Ki Moo Gwan Martial Arts has once again come home with World Champion Gold Medalists. We entered 17 competitors and came home with 17 gold medals respectively. We are very proud of the quality and dedication of our students. 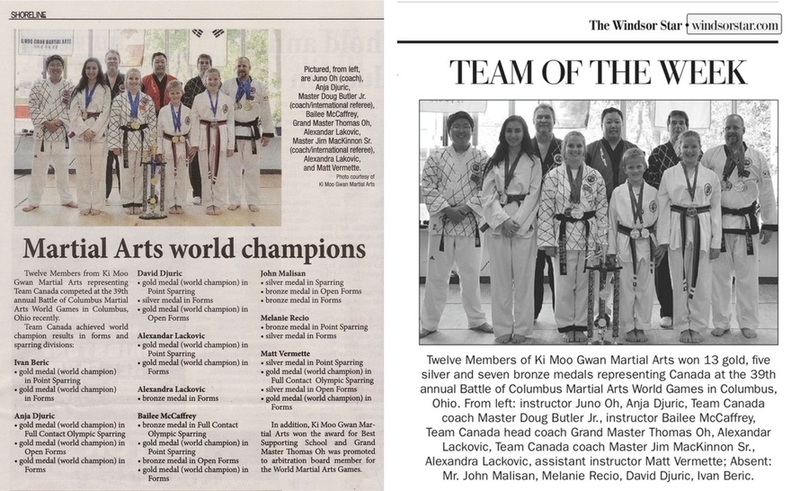 We would like to thank the Coaches, Instructors, and Masters for producing Superior Martial Arts Students and Competitors. Keep up the Excellent work, Train and Practice Hard for upcoming competitions and events!! 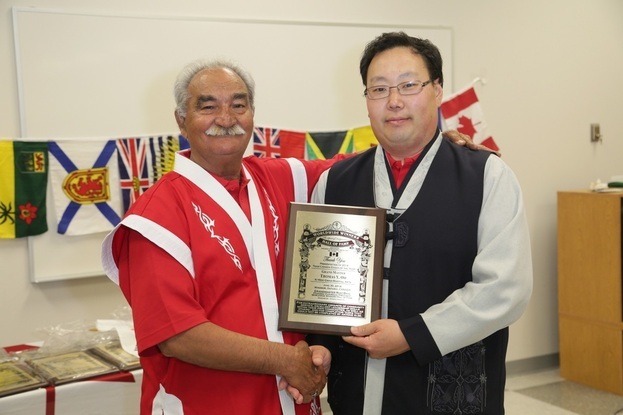 Grand Master Thomas Y. Oh receiving acknowledgment and congratulations of promotion to 8th Dan Black Belt from Windsor West MP Brian Masse. 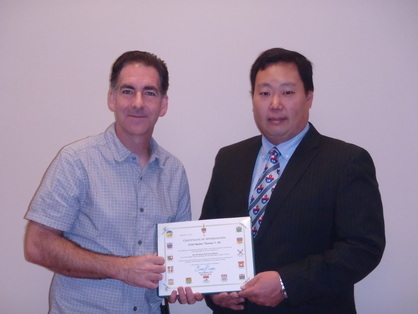 Certificate of appreciation was given to Grand Master Thomas Y. Oh from MP Brian Masse on October 5, 2012 for Grand Master Thomas Y. Oh's efforts and contributions to the Martial Arts and teachings of Discipline, Self Confidence, Self Defense, and respect for others.